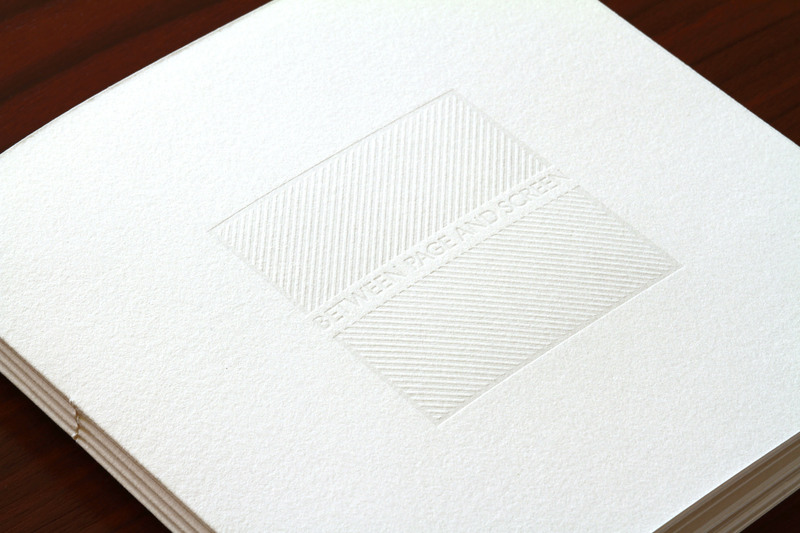 Hand-bound and letterpress-printed in an edition of 12 by the author (2010). Trade edition issued by Siglio Press (April 2012). 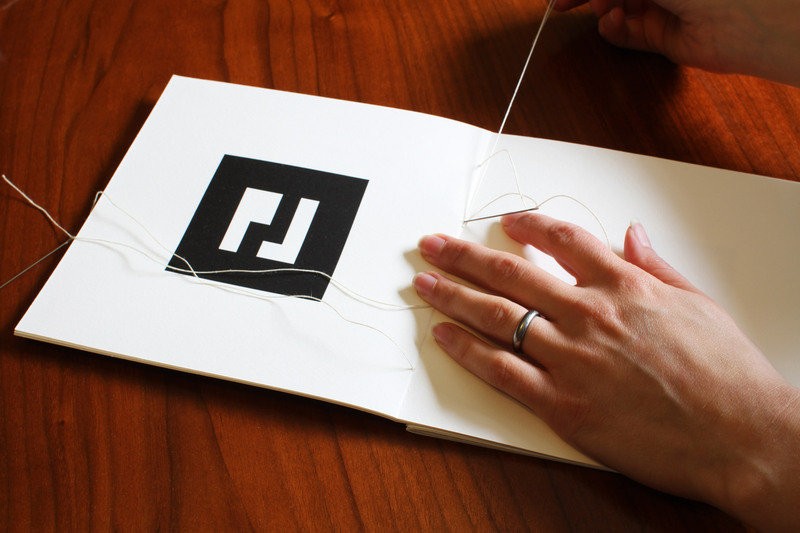 This “digital pop-up book,” programmed by Brad Bouse, integrates the artist’s book and e-poetry traditions to examine the conventions by which we know an object as a book. 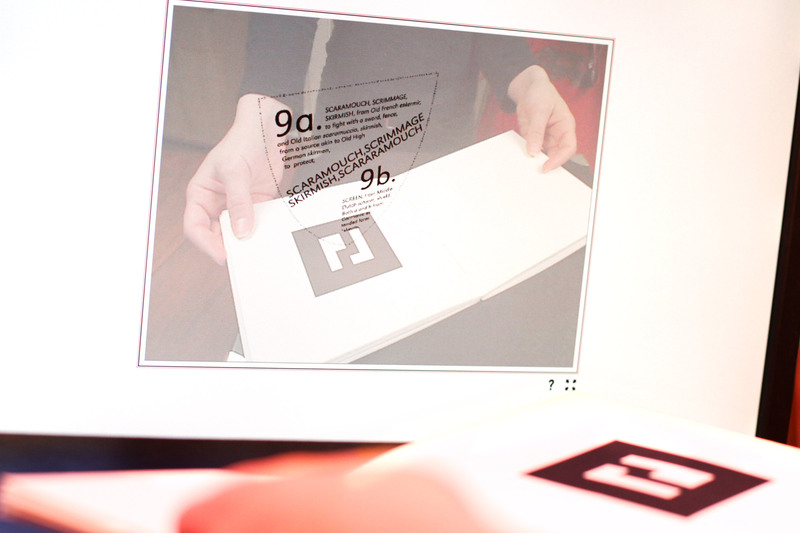 The pages of the book contain no text, only square markers that, when displayed before the reader’s webcam, activate a series of animations mapped to the surface of the page. Because the animations move with the book, they appear to inhabit “real” three-dimensional space. However, the resulting poems do not exist on either page or screen, but rather in an augmented reality where the user sees herself holding, and interacting with, the text. You can download a sample marker and see a video at betweenpageandscreen.com. Read interviews about the project at Jacket2, Daily BR!NK and Molossus. Between Page and Screen has been exhibited widely, most recently at the Dennos Museum in Traverse City, MI as part of Making Paper Dance, curated by Linda Ross. A full exhibition history and list of upcoming events can be found at the website.